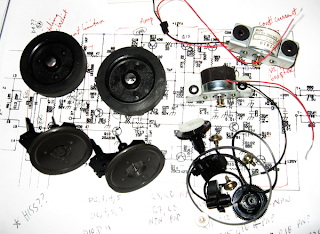 Ok, I admit that, lately, I've spent enough time building gadgets that are only peripherally related to robotics. Time to build another robot. This one is going to be scratch built from some reclaimed and repurposed hardware: a dual tape deck out of a dead all-in-one system (below, at top), motors from a broken linear tracking turntable (below, at bottom), and other goodies from a lifeless HP inkjet printer (not pictured). The turntable mechanism features a pair of small motors that would be ideal for a differential drive robot. For wheels, paper rollers from the inkjet printer, driven by some combination of pulleys and gears from the tape deck. 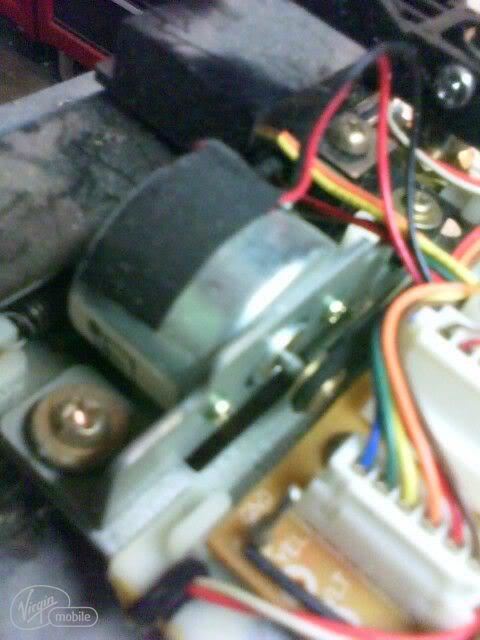 With two drive wheels I'll need at least one caster. 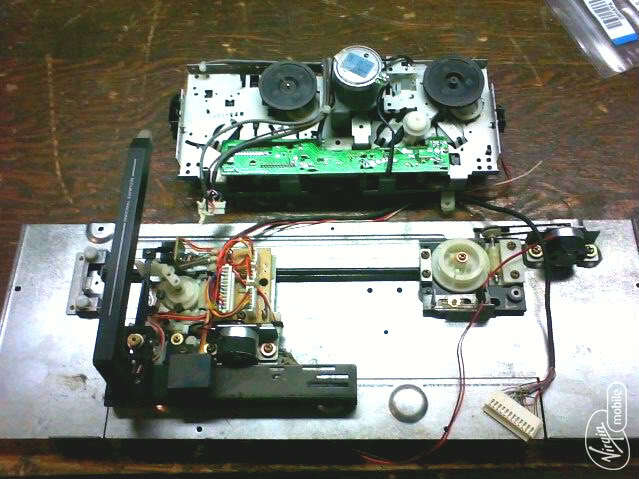 The pinch roller mechanisms off the tape deck should do nicely. 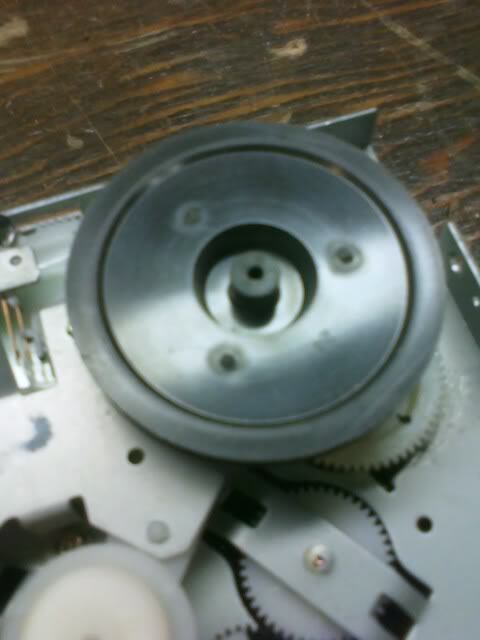 The recovered parts can be seen below. So that's the start of the inspiration. Now, what the heck do I want this thing to do, how big should it be, how long should it run? Time to define the problem, that is, write down my requirements for the robot, in good systems engineering fashion. I've had this ancient TAB book (#1241), How To Build You Own Self-Programming Robot, for 10 or 15 years and it was ancient when I got it. It was written in 1979! In short it presents a simple mechanism for a robot to learn how to react to external stimulus, primarily wall collisions. I'd kind of like to try out this scheme on Pyoony. Check out this website for a learning robot based on the book. I am also interested in playing with the subsumption architecture. I can probably do both of these things if the robot is flexible enough. I'd also really love it if I could figure out a way for the robot to find its recharging station and recharge itself. Maybe that is asking too much.